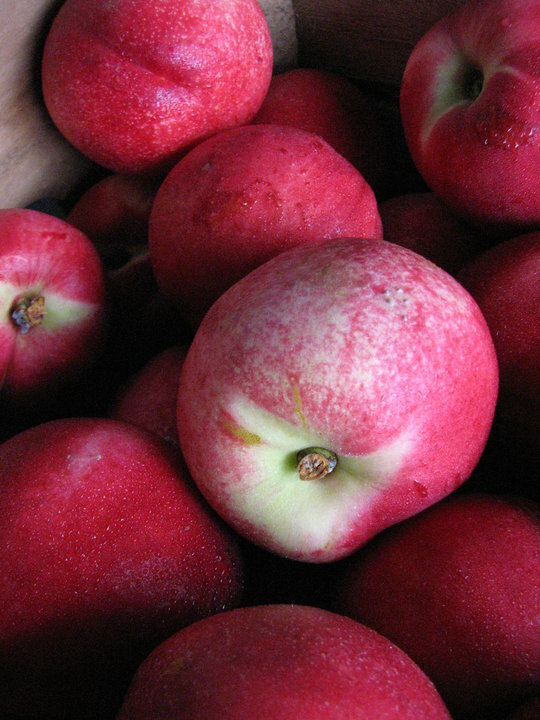 There are over 21,000 trees in our orchards devoted to fresh market production, primarily fresh market apples. We have about 41 acres devoted to fresh market peach production, starting in late June and running through September. Our high quality fruit is shipped as far as Northern Canada and Southern Virginia and we work hard to ensure our Customers find these fruits exceptional all season long. Other fruits grown in the Toigo Orchards include plums, apricots, cherries, Asian Pears and European Pears. In fresh market berry production, Toigo Orchards has several acres devoted to strawberries, raspberries, and blackberries. All of these fruits are marketed in the mid-Atlantic region. We have been growing melons at Toigo Orchards since 1973. Production has ranged over the years to include honeydew and cantaloupe. Over the past few years the acreage in production has decreased while crop yield has increased due to better varieties being developed. All harvested melons quickly find their way in to stores from New York City to Washington, D.C., through our own distribution network. This ensures all melons are picked, packed, and shipped within a timely manner. At Toigo Orchards we take pride in growing beautiful fruit using the Integrated Pest Management (IPM) system. This allows us to maintain the health of the crop without leaving a chemical residue on the surface of the fruit. What necessary sprays we do use – for instance, when an entire crop is threatened – are no-residue types that ensure clean, edible fruit right from the trees.